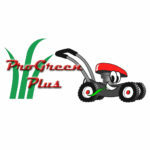 Repower Your Scag Exmark Toro Lesco Walk Behind Mower With a New Engine - ProGreen Plus | Knoxville, TN | Lawn Mower Parts | Riding Lawn Mower Parts | ServiceProGreen Plus | Knoxville, TN | Lawn Mower Parts | Riding Lawn Mower Parts | Service | We've Got Your GRASS Covered! 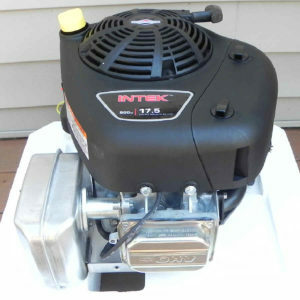 This is a great replacement engine for many Kawasaki and Kohler single cylinder engines including Kawasaki FC420V and others. Kawasaki does not make any single cylinder engines anymore. 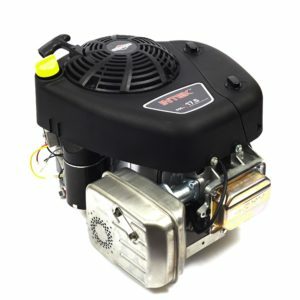 The new Briggs and Stratton engine features recoil or electric start and will work on mowers with either manual deck engagement or with electric PTO’s. The crankshaft dimension is 80 mm (3 5/32″) length with a 1″ diameter. This engine will work with either hydrostatic drive or belt drive systems. Engine prices begin at only $499! Only $499 at Mower Parts Zone! This engine is the one to choose if your mower has an electric PTO. We can install what we sell. Visit us at our shop for more information or call us at 865.235.1799.